Currently no workshops are planned. However, if that was what you came looking for, or if you would like to offer a public workshop at your venue, you are very welcome to contact me directly, so we can discuss further. I very much like teaching and I am generally willing to teach you everything that I know. In my studio I offer sessions for up to three at a time. I invite you to contact me if you have seen something specific that you are interested in learning, and we’ll discuss and arrange a course that will suit you. 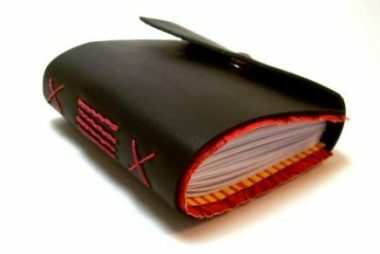 Workshops can be focused on a technique (Long Stitch, Coptic Binding, Asian stab binding, …) or could be project-based: these are one on one problem session in which will cover different binding techniques and brainstorm together how to improve your book structurally. The specific price of a course depends on what kind of thing we settle on (and what kind of materials I would have to include in the fee). But to give you a rough idea, you can expect to pay about £100 if you are coming alone for a 6h day (including a break), £60 each if you bring a friend, £55 each if you bring two friends. You are very welcome to contact me with a request! You will only finally book a course when you are happy with the course description and price I’ll give you. A range of materials and hot and cold drinks will be included in the course fee. 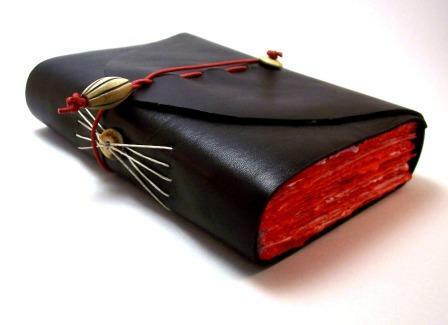 It takes about a day to teach you how to bind so called limp leather books. Here the pages get sewn directly onto the covering material (leather). A long strip of leather can be attached to serve as closure. 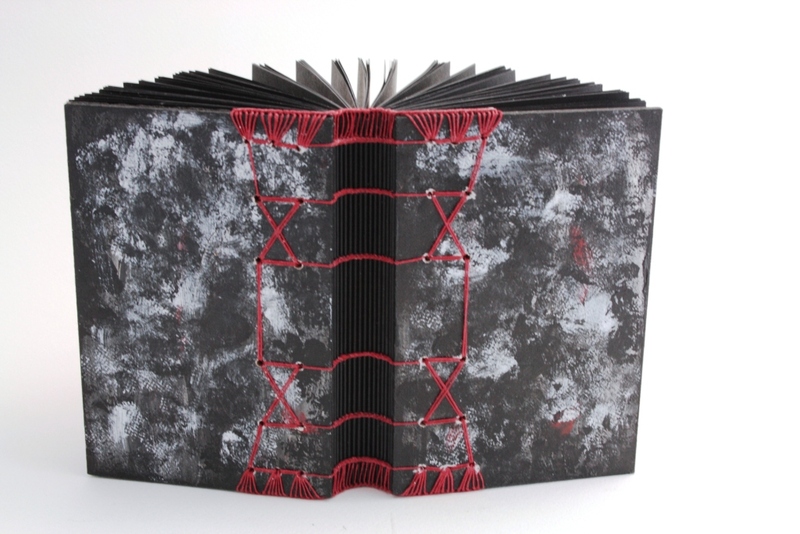 This type of binding is well suited for journals and sketch books, or for guest books with a medieval flair. Indirect tacketing is a little more sophisticated form of limp leather binding. 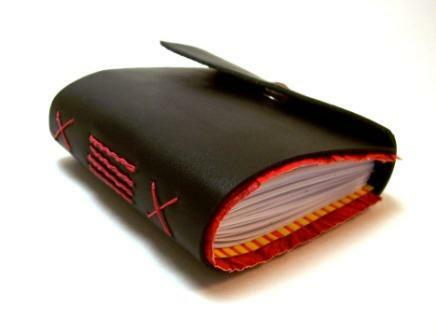 It is called indirect because there are two types of sewing: With a primary sewing the pages are made into a book block. And this is then attached to its leather cover by so called “tackets” – this are these curly stitches that you can see on the outside. The advantages of this type of binding are manifold: Like other bindings without glue it opens flat, the leather cover makes it robust and less susceptible to dirt and small water dashes. For books with exposed sewing the week point is that the threads are unprotected and could tear – this is where the indirect sewing is an advantage: First of all, the primary sewing of the book block is hidden and therefore not as vulnerable. Secondly, the tackets are all individually made: if one breaks, the other hold the book block still in place. Thirdly: Even if all the tackets should break – your pages don’t come apart. In the middle ages limp bindings were used a lot. They were used for less valuable books and in many cases to protect the pages of a book until the final hardcover would be made. (Think of it as the medieval paperback.) We see today, however, that many of them are better conserved than those that received their hardcover bindings. 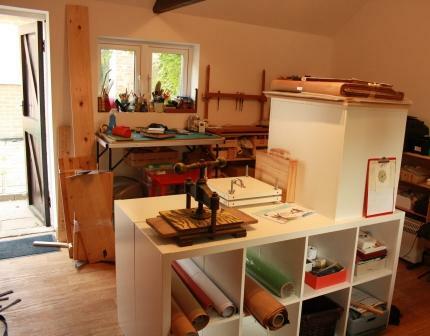 Depending on prior bookbinding experience this could be a one or two day course. This is the oldest method of binding codicees (folded paper sewn along the fold). 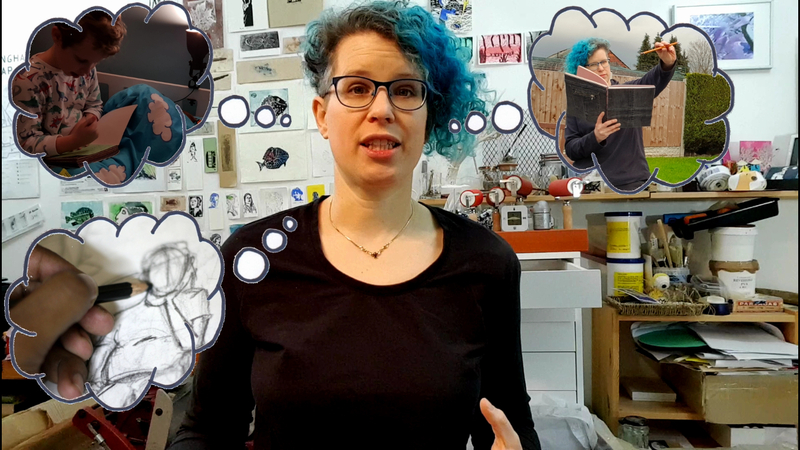 A simple basic method could be taught in a day and would be a great way to enter the world of bookbinding. This could be a one day (just the binding itself) or a several day (adding a closure, parchment decorations, and/or headbands) workshop. Making the book on the right would take two days. Contact me informally and simply tell me that you are interested in a course. We’ll then discuss all the details (including scope and price) and appoint a specific day which suits all participants.